Aerosmith is an American rock band that was formed in the early 1970s. Band members are: Steven Tyler (singer, keyboard, and harmonica), Joe Perry (guitarist and vocals), Brad Whitford (guitarist), Tom Hamilton (bassist), and Joey Kramer (drummer). Aerosmith was inducted into the Rock and Roll Hall of Fame in 2001. In 2005 the band was listed as one of the 100 best artists of all time by Rolling Stone magazine. 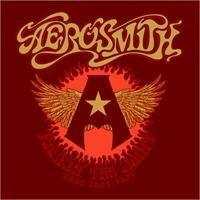 To date, Aerosmith has sold over 150 million records worldwide. Vote for your favorite Aerosmith albums.